The letter of the week in Pre-School this week is the letter L. Lucy chose the letter L as it was her fourth birthday on Tuesday. 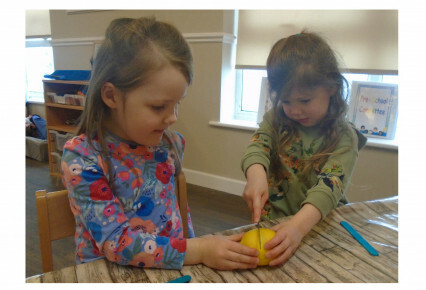 Lucy and her friends made a list of lots of things that start with the letter L, including lemon and lava. 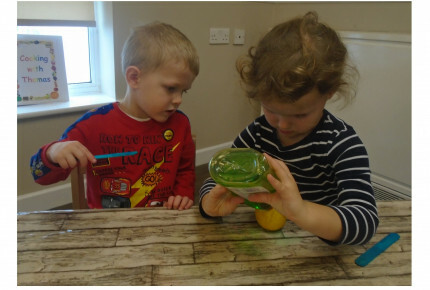 To further develop and imbed the learning of the letter L the children undertook an experiment with lemons to make their own lava lamps. 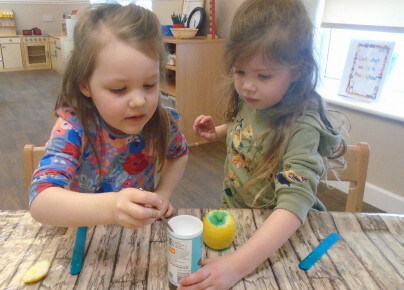 The children worked in pairs to follow the pictorial instructions to make their lava lamps. They used all of their senses to explore and describe the changes they were observing. 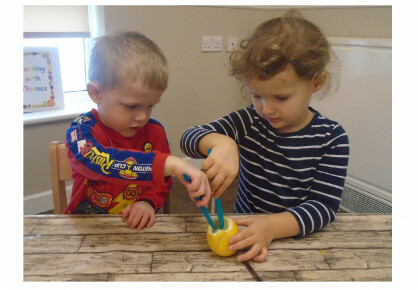 The children managed their own risks when using one handed tools and talked confidently about appropriate safety measures. 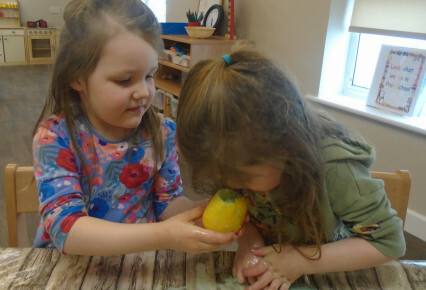 As the lemon juice mixed with the baking soda the children were amazed by the magic. 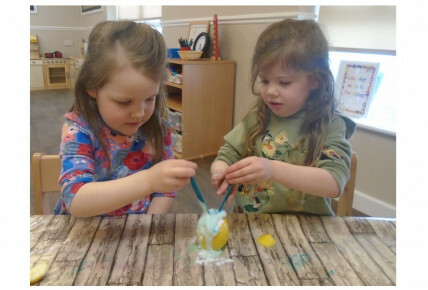 Lucy said "Wow, look Grace its erupting and it smells really lovely." Grace replied "It smells like my Mummy's washing."